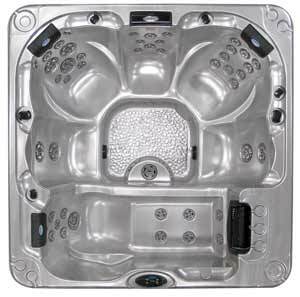 The Escape Select ES-852L is a spacious eight-foot hot tub with a dedicated lounger seat and contoured captain's seating for up to six adults. The ES-852L features 52 of our Candy Cane™ stainless steel jets to soothe away stress and tension. We also include our Connect LED lighting package at no additional charge. With our ten year structural warranty, the Escape Select ES-852L is a sound investment you will enjoy for years to come.